I nfoPac® is a unique label design that combines a leaflet or booklet with a pressure-sensitive base label. 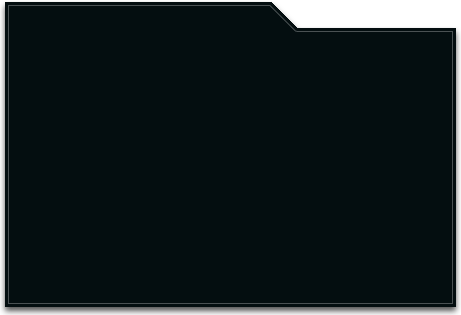 This patented, compact and user-friendly expanded-content label can consolidate boundless amounts of information onto the primary label where it is easily accessible to the consumer. 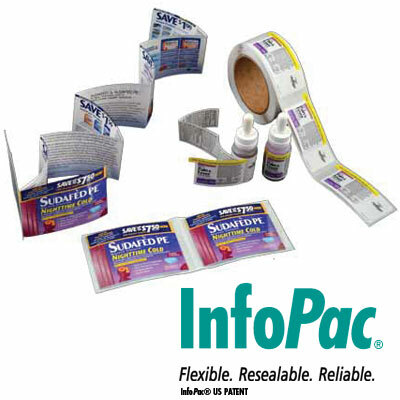 With InfoPac® brand owners can communicate important product safety information, directions for use, and marketing messages on the pages of their InfoPac® label. With so much additional label copy area, the need for a carton or product insert may even be eliminated. InfoPac® is available in booklet or leaflet format and can be manufactured in a wide variety of shapes and sizes. These labels can be designed with Tursso’s Touch-and-seal™ resealable closure feature that keeps information accessible but intact for the life of the product.Tursso’s newest offering includes InfoPac® labels that close directly onto the product container, an ideal solution for smaller cylindrical bottles and vials.